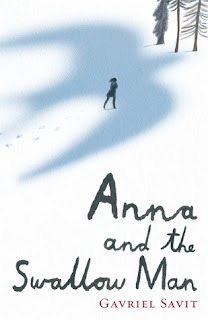 This coming of age novel is set in Poland during the early years of World War II. Anna is a seven year old girl whose father is raising her himself. When he is arrested by the Nazis in a round up of intellectuals, Anna is left to fend for herself on the streets of Krakow. Confused and alone, Anna has no idea what to do or where to go until she meets The Swallow Man. Impeccably dressed, tall and distinguished, The Swallow Man approaches Anna with words of comfort and advice. She makes up her mind to follow him out of the city. Thus begins their journey roaming through the countryside in an attempt to avoid suspicion by the Nazis. As the days turn into years, The Swallow Man shares his knowledge with Anna. Unexpectedly, they meet Reb Hirschl whose personality is the exact opposite of The Swallow Man’s. Together both men attempt to protect Anna, and each one grows to love her as his own.